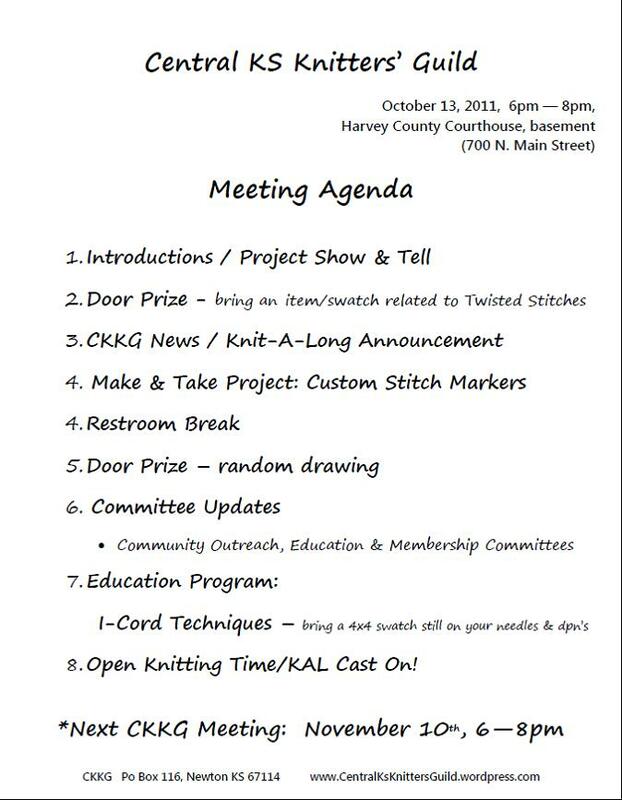 Join us for the monthly meeting of CKKG on Thursday, October 13th from 6-8pm at the Harvey County Courthouse (Newton, Main & 7th streets). A few special notes for the October meeting: Please bring a knitted swatch (approximately 4×4 inches) that is still on the needles and a pair of double-pointed needles for the I-Cord Class. Sandy will be demenstrating advanced I-Cord Techniques. Previous Previous post: September Meeting Recap! Next Next post: October Meeting Recap!